Many children require some form of specialized services at school. The National Center for Education Statistics reports that 6.7 million American children — nearly one in every seven students enrolled in public school — receive some form of special education services. In practice, those services can vary dramatically. Indeed, they should vary: under federal law, all children who are eligible for special education have a right to an Individualized Education Program (IEP). An IEP should address the child’s unique individual needs. In some cases, transportation services may even be available. 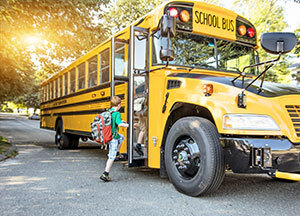 Here, our Monterey special education lawyers provide an overview of what parents should know about the California special education transportation laws. Is My Child Eligible for Transportation Services? Under California’s special needs transportation laws, your child might be entitled to receive transportation to and from school. The core reason for this is fairly simple: If a special education student cannot actually get to school, then they, by definition, cannot benefit from the services that are provided there. The California Department of Education (CDE) guidelines clearly state that the individual needs of a special education student must be a primary consideration in determining whether transportation services will be provided. Logistical issues, such as whether mid-day transportation is required. Can California Schools Decline to Provide Transportation? Special education transportation will not always be provided by California schools. In certain cases, a school may deny transportation services — even if the child’s parent is adamant that those services are necessary. To be eligible for transportation services, it must be included as part of the child’s IEP. That being said, California public schools cannot deny transportation simply because they do not want to provide such services. For example, under the state’s special education transportation laws, schools are prohibited from denying transportation services simply because the child lives too far from the school. Even when a child has been moved to another school district as part of their IEP, transportation must be provided if it is necessary to fulfill the IEP. What Should Parents Do If Special Needs Transportation is Inadequate? If you are the parent of a special education child, and you believe that the transportation services that are being offered are inadequate — whether it is because transportation has been denied altogether or because your child is having some sort of a problem with the services that have been offered — you should consult with an experienced California special education lawyer immediately. Your lawyer will be able to assess your case and help you take action to protect your child’s rights. At the Allen Law Firm, our Monterey and Santa Cruz special education lawyers have extensive experience handling claims related to transportation. To find out more about what we can do for you and your child, please contact us today to schedule a free consultation. From our offices in Santa Cruz and Monterey, we represent parents throughout California’s Central Coast.